Unfortunately, many polyps and early cancers fail to produce symptoms. Therefore, it is important that your routine physical includes colorectal cancer detection procedures once you reach age 50. 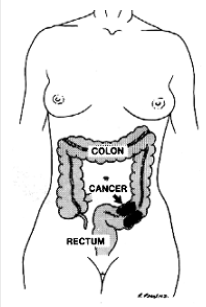 There are several methods for detection of colorectal cancer. These include digital rectal examination, a chemical test of the stool for blood, flexible sigmoidoscopy and colonoscopy (lighted tubular instruments used to inspect the lower bowel) and barium enema. Be sure to discuss these options with your surgeon to determine which procedure is best for you. Individuals who have a first-degree relative (parent or sibling) with colon cancer or polyps should start their colon cancer screening at the age of 40.